I always like trying out new skincare products and have recently got quite into face masks and face scrubs to add into my routine, so I was interested to try out Good Things Manuka Honey Refining Scrub* (£4.99). I'm not familiar with the Good Things range, but having done a little research into them I have found out they are aimed at younger skin and their products contain no nasties and are packed full of superfruit extracts. They're also really affordable too. 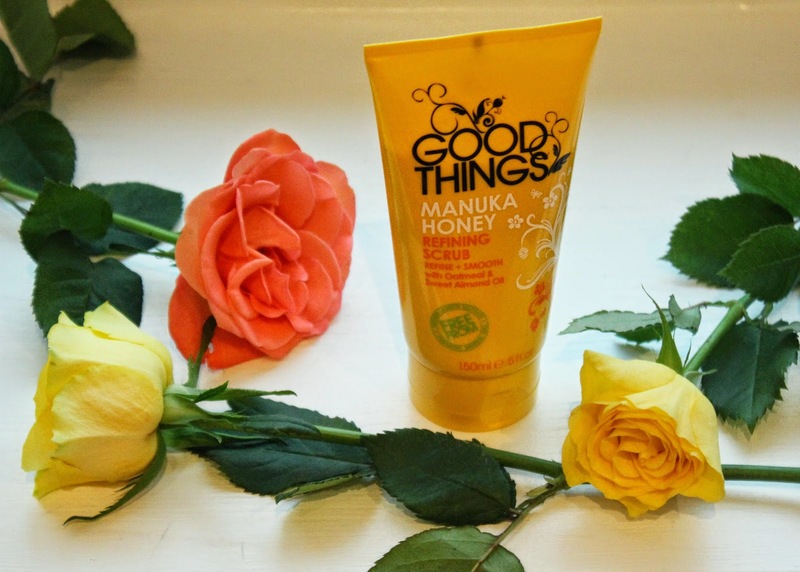 Good Things have a new range of Manuka Honey products - a cleanser, a face mask, this face scrub and a daily moisturiser. The smell of the face scrub is yummy and all the scent of all the ingredients are definitely there - oatmeal, honey and almond oil. It also contains kaolin which is there to draw out excess oil. The oatmeal gives the 'scrub' element and it did feel a bit like I was putting honey porridge all over my face, which although a little bizarre at first, it was really pleasant (and makes for an appropriate addition to the morning routine once or twice a week)! My skin certainly felt softer and smoother afterwards and had a nice glow to it. A little goes a long way so this big 150ml tube should last a good long time. I'll definitely be looking out for more Good Things products in the future. You can find them in Boots stores nationwide, www.boots.com and from www.goodthingsbeauty.com.